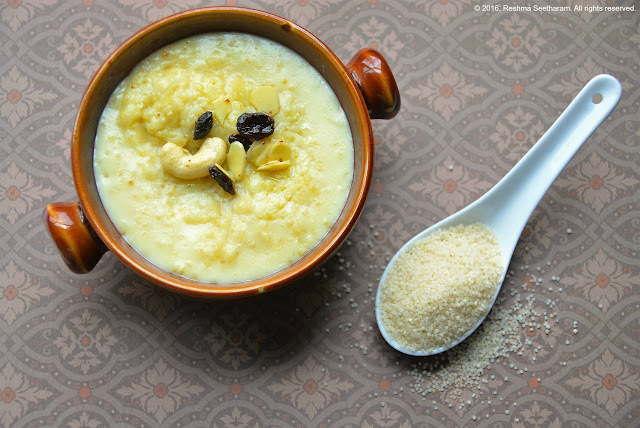 A warm and creamy milk porridge made from whole millets, almonds, milk and sugar. Add ghee into a saucepan. 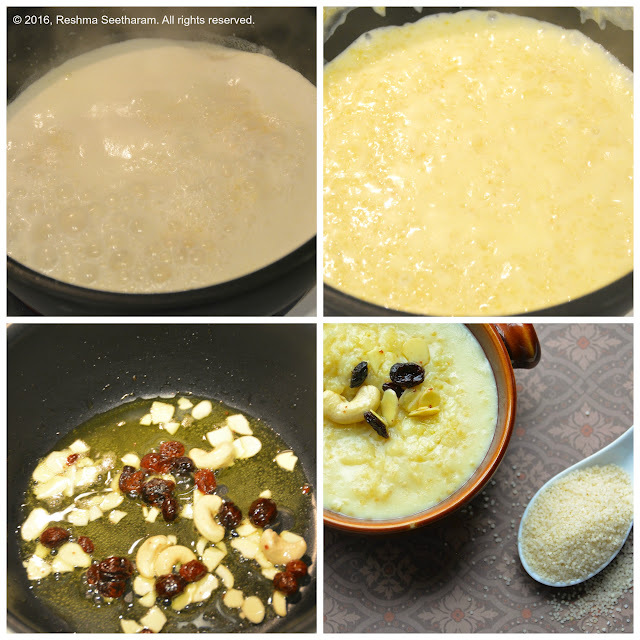 On medium heat, when the ghee meagerly starts to shimmer, add millets, roast in ghee until light brown. Add water; cover and cook on medium heat for 20 minutes. Once the millets and cooked, they will be light and fluffy. Add in milk and saffron strands. Bring it to a boil on medium high heat for about 7 to 8 minutes. When the millets are cooked through, add sugar and cardamom powder. Stir well and cook until all the sugar dissolves.